Right now, the Snapdragon 660 is Qualcomm’s best mid-range chipset. But soon, the company is launching the 700 series chipsets that will power a lot of upcoming mid-range phones. 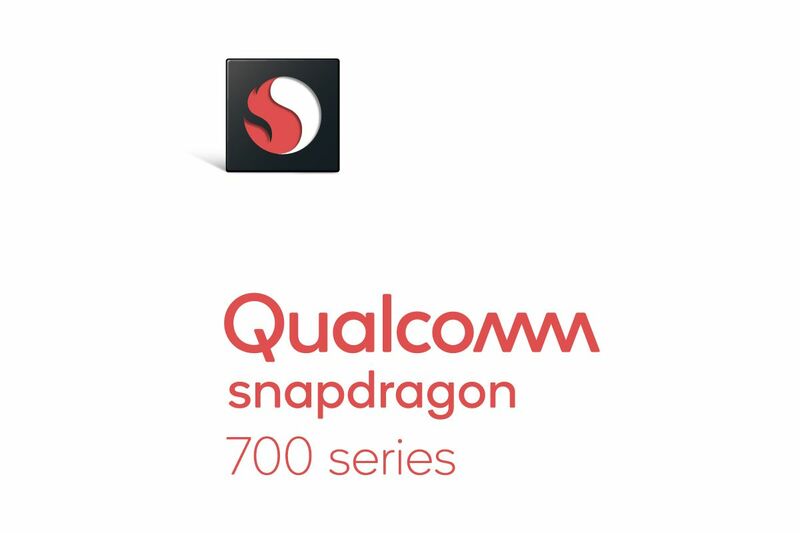 In case you don’t know, Qualcomm announced the Snapdragon 700 series at the Mobile World Congress 2018. The company mentioned that all the 700 series chipsets would come with multi-core Qualcomm AI Engine, resulting in up to 2x improvements for on-device AI applications compared to the Snapdragon 660 Mobile Platform. Today, the alleged specifications of Snapdragon 710 and Snapdragon 730 leaked out, and if these are true, then these two processors will be announced in a few months. 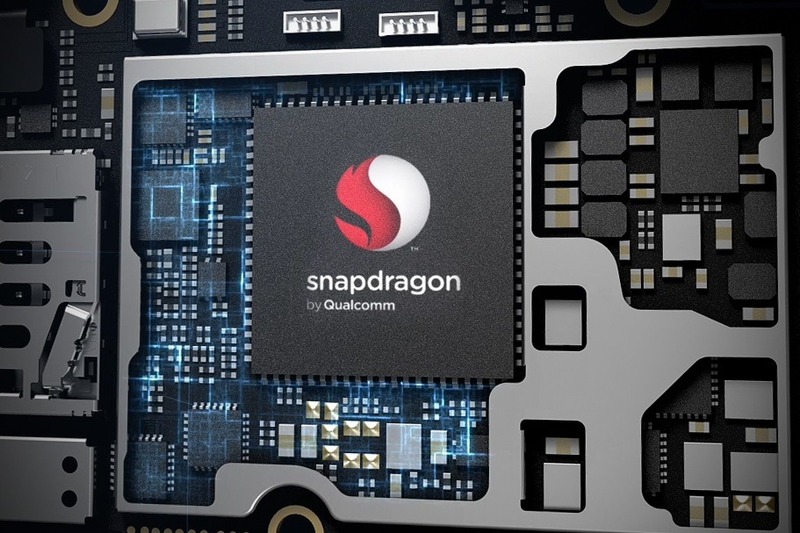 Talking about the Snapdragon 710, we first heard about this chipset in April when XDA-Developers found that it is a rebranded Snapdragon 670. XDA also confirmed that the chipset would be powering at least two upcoming Xiaomi devices. Talking about the specifications leaked today, 710 is an octa-core processor and has high-end dual-core CPU cluster (Kryo 3xx 2.2GHz 256KB L2) and hexa-core low-end CPU cluster (1.7GHz Kryo 3xx 128GB L2 +1 MB L3). One of the most interesting things about this chipset is that it is going to be manufactured via Samsung’s 10nm LPE process. For connectivity, there is Integrated 2X2, Dual Band WiFi and Bluetooth 5.0. The Snapdragon 710 has the same Transceiver that is present inside the Snapdragon 630, i.e., SDR660. Talking about the GPU, the processor is coming with Adreno 615 (up to 750MHz). 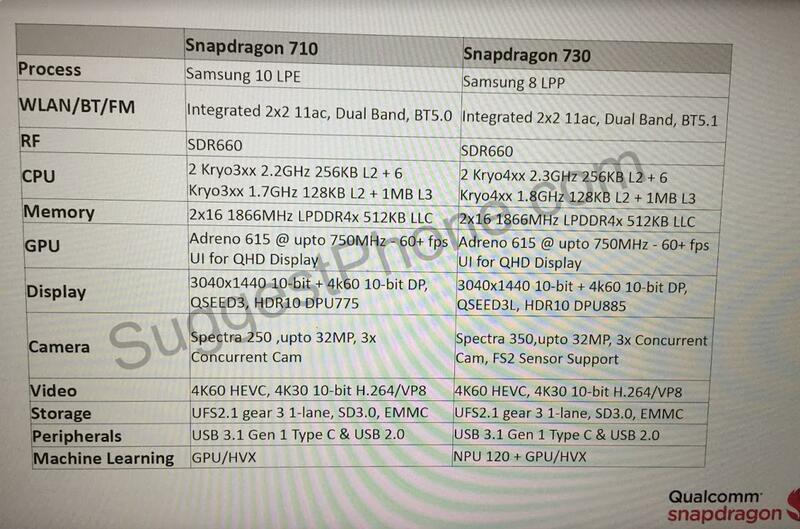 Well, these specifications are not 100% confirmed yet so consider them with a pinch of salt. These chipsets will most probably launch in Q3 or Q4, and we expect to see phones powered by Snapdragon 710 and Snapdragon 730 next year.